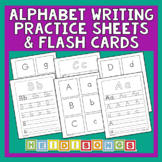 Created to help teach the alphabet to beginners. Arrows and dots are included to help teach stroke order. 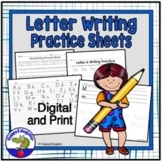 These were made to be simple so that students can focus on learning and practicing one letter at a time. This lesson gives your student an A - Z lesson for small sentence writing. 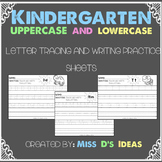 Each letter is used throughout the assignment and sentences to help the student with both the sounds and use. It also aids in beginning writing skills. 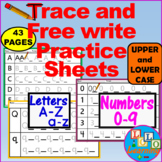 Sheets for young learners to practice their writing skills. Each sheet covers one letter of the alphabet. In colour or black & white. Can be made into individual booklets as cover sheets are included. Color-coded for stroke order, these hiragana and katakana practice sheets cover the entire alphabet in only a few pages. Whereas other pages can be 14+ pages, this packet is more condensed. This worksheet is easy and cute for students to use as practicing hand writing of the family unit vocabulary. 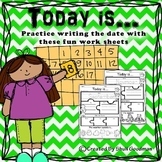 There is a family member unit worksheet package available too. please check my website and let me know if you have any questions. Thank you! 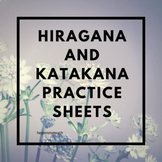 Japanese character "Hiragana" writing practice sheets. Japanese character "Hiragana" writing practice sheets.Total 5 pages.Each sheet is US letter size.Digital PDF file. 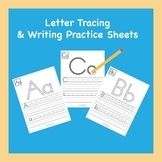 Invite younger students to practice their letter writing skills with this simple letter "A" Alphabet template.